Aren’t ride on mowers fun? They’re big, tough, and fast (well, faster than push mowers, anyway). They make you feel so much like a man you expect to see Bald Eagles descend and land on your shoulder, bears emerge from the woods and give you high fives, and even gorillas to stroll uncharacteristically past and give you an approving nod. The best riding lawn mowers are complete with awesome and useful features that make them stand out against a litany of sub-par products. If you want to invest in a new riding mower, then you’ve come to the right place. We’ve put together a list of the fastest, toughest, and most versatile options available, which are sure to offer you something for lawns and yards of all sizes, for all environments, and able to tackle any terrain. So stop waiting around and jump on, we’re going for a ride. 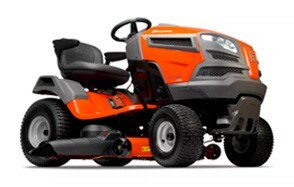 Our number one selection for the best riding lawn mowers is the Husqvarna 24 HP Yard Tractor. This truly massive machine comes with a 48-inch cutting deck, a massive 24 horsepower engine, and hydrostatic pedal transmission. These words all sound cool, but what do they mean? Horsepower and cutting deck speaks for itself, but hydrostatic transmission provides smooth, hassle-free shifting between speeds and reversals (yes, it can reverse, sweet, no?) There’s also cruise control, which lets the mower do (even more of) the hard work, and electric blade engagement – with three blade operation – ensures consistent, reliable cutting in a variety of environments. The Husqvarna is also compact, which makes storage and maneuverability much simple than large lawn tractors. Despite this compact size, there’s enough room to provide comfort, which is enhanced by the ergonomic steering wheel and adjustable seat. With it, you’ll get fast and efficient mowing with even cutting and a heck of a lot of power, ready to tackle the most daunting of yards. All of this plus the useful attachments you can purchase separately make it a great domestic or commercial mower to just about anybody. Be sure to also check out our list of the best cordless lawn mowers for more great items like this. The similarly sized but much heavier Poulan Pro Automatic Hydrostatic Transmission Mower is powered with a 15.5 (even though it says 155 on Amazon) horsepower Briggs and Stratton lawn mower engine ideal for small to medium-sized lawns. This is an engine you can rely in, and offers both durability and performance, providing the power you need in tricky lawn situations. The 42-inch reinforced and floating vented deck offers consistent airflow and preventing and built up of dirt, grime, or wayward grass. There’s also 6 different cutting positions, giving you multiple options for different grass to give you an even cut which is especially useful if you want to use this away from home, perhaps around a neighbor’s or relative’s – to both help out and to show off. Although, it may struggle with grass left too long sometimes. The hydrostatic transmission allows for easy speed adjustments, while ergonomic controls make the whole experience much more comfortable than mowers of the past, and it comes at a reasonable-enough price that you won’t feel like you’ll not be able to afford to keep you lawn after purchasing it, making the whole buying-a-mower-thing for nought. The Troy-Bilt 382cc Premium is a riding mower that doesn’t boast the size nor power of other models in this selection, but that shouldn’t give you cause to avoid it. Despite its size, it’s still a great little mower for anybody who has a modest patch of land beside their home. The size may even be a bonus for some of you, as it’s easier to store, control, and maneuver than larger models, coming with an 18-inch turning radius that removes tricky reversals that could end up in the flower patch, whoops. The 30-inch cutting deck still offers a wide-enough range to speed up your mowing activity, and the five adjustable cut settings give you options and versatility depending on the condition of the lawn and the time of year. Perhaps it’s because it’s a little more simplistic when compared to others, it feels easier to operate with straightforward blade engagement. However, you may struggle to get to grips with the clutch and brakes during the first couple of mows, so be wary that you don’t cause any lawn disasters. It’s comfortable, durable, and for such a price, it might surprise you, so why not see if it makes the cut, hey? 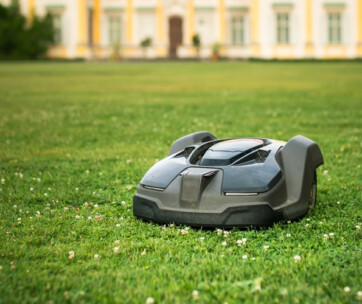 Our handy guide to the best robot lawn mowers features more great products like this. An undisputed king in riding lawn tractors, John Deere have done it once again with the X710 Signature Lawn Tractor. So where do we begin? Well, despite it being perhaps the largest and heaviest mower in our selection, it is surprisingly quick and easy to control, which is always a bonus and this is thanks to its two-wheel drive. That’s not all, though. The X710 comes with plenty of power, maybe more than you’ll ever need, but it’s nice to have a little reserve, isn’t it? The Quick Connect system is also useful for anybody who wants or needs to include attachments such as snowblowers or tow carts. You’ll not lose out on speed though, considering the V-Twin liquid-cooled engine, and the easy-to-read fuel gauge will tell you exactly when you need to refill. As you’d expect, John Deere design their lawn tractors to last as long as possible. This is clear from the heavy-duty welded frame and robust other parts such as the wheels, wheelbase, and pedals. At first glance, the price might ut you off, but when you realize just how long this will last, you’ll soon come around to the idea of speeding around your lawn. Here, you can pick from two options depending on what you need. Both options, the Ariens Zero Turn Zoom 42 and Zoom 34 Riding Mowers provide powerful 19 horsepower engines to manage small to moderately large cutting areas. Also included is a Stamped Xlerator deck that doesn’t just provide efficient airflow, is also adjustable. This gives you versatility in your mowing and helps you manage a wide variety of grass lengths and thicknesses. 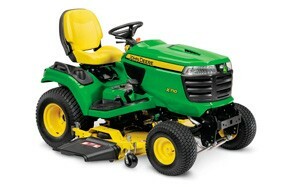 It’s also one of the few models of sit on mower that can handle and cut wet grass. Where other products cause the grass to clump together, this fast-mowing operation eliminates that risk and instead keeps the blades free from thick grass, giving you excellent, clean cutting results. If you’re concerned about comfort, then the Zoom series is definitely something to consider. The high-back seat offers support, which is especially useful when mowing larger plots of land. The steering wheel and handles also won’t cause much strain on the wrists and arms, so any worries of dreading your next mow should be long gone. It’s slightly more expensive than similarly sized mowers, but with the extra power and comfort, it stakes its claim as a worthy purchase. This also makes a great gift for gardeners. With a 54-inch deck, this huge Swisher Response Zero Turn Lawn Mower is an excellent option for considerable yards and lawns. This deck is supplemented with a 24 horsepower Briggs and Stratton engine and is guaranteed to offer the most effective cutting possible. 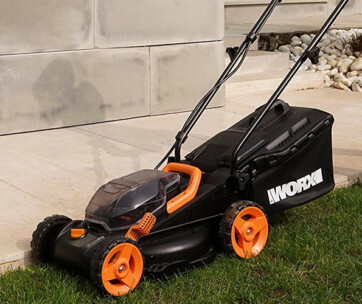 With it, there’s likely nothing you couldn’t mow – if given the time – and it also provides a wide cutting range of between 1.5 to 4.5 inches to provide numerous grass styles. The most attractive feature, though, is the Rapid Response Control System, which gives you the steering precision and comfort you need to tackle a variety of challenging terrains. This is assisted with a foot-operated deck lift, while the Hydro Gear 2800 transmission and Ogura clutch make moving between speeds the easiest thing you’ll do that day. You may have already got the idea, but this is a heavy-duty machine that’s more than capable of handling troublesome and treacherous surfaces. The construction ensures durability, and there’s more than a few bonus features such as integrated storage and a cup holder – because mowing can be thirsty work – that may sweeten the deal. To prepare your lawn for mowing, use one of the leaf blowers from our list. The Ryobi 75 AH Electric Riding Mower is a step in the environmentally friendly direction for riding mowers. Its battery operation means it’s almost maintenance-free, and requires no spark plugs, belts, or filters. With it, you never have to deal with clogs, failure to start, or sputtering or refilling the gas tank – because there isn’t one. The only thing you must remember is to charge it via USB when you’re not using it. If you’re worried about a lack of power, know this mower can run for up to two hours on a single charge, covering 2 acres of grass, all while running silently. So if you want to mow early on a Sunday morning or even in the middle of the night you’re more than able to do that. It also offers cruise control, giving you greater precision over the lawn and guaranteeing an effect cut every time. Despite all these benefits, you still have to take its size into account. While it can mow up to two acres, it will struggle to do any more than that, and some types of grass may prove too tough for it to handle. This is a shame, but for anybody with a small-to-medium sized yard, it’s the perfect option for switching over to something a little less loud and a little more environmentally conscious. Find more great products like this by checking out our guide to the best hedge trimmers. You expect all lawn tractors to pack quite the powerful punch, and this XT1 from Cub Cadet more than meets those expectations. It has a 42-inch cutting deck with a stamped blade, and a 16-inch turning radius, which provides precise control that other riding mowers struggle with. The 18 horsepower Kohler 5400 engine gives ample opportunity for multiple, large mows, while the heavy-duty constructions ensures it’s a mower that will serve you well for years. There’s also the useful hydrostatic transmission, which eliminates gear-shifting and allows for more streamlined operation. With this, you’ll no longer stutter to start, giving you more ease and comfort when gliding around the yard. To make things even easier, the soft-touch cruise control engagement can assist with the operation and make mowing the lawn something you’ll look forward to. Should you forget to store it away during the winter months, you can at least rely on the anti-rust and corrosion defense e-coating across the shell and the fuel tank. Although, we don’t recommend forgetting to store it. We also wish it was a little quieter, but when the neighborhood is having fun in the yard, they shouldn’t hear too much of it. Our final pick is also our choice for the best riding mower for the money. The Raven Hybrid provides the best of both fuel and electric-powered mowing experiences and combines them into one great value product. Coming with a 420cc gas-powered engine (13 horsepower) it isn’t the most mammoth of operations, but still something that’s worth a look at. It’s more than just a riding mower, too. The 3-in-1 design can switch from a humble mower to a multi-purpose vehicle in a matter of seconds. This is encouraged with a towing capacity of 550 pounds, giving you more than enough strength to drag away debris, soil, and snow when on undertaking a lawn cleanup project. The front off-road style suspension and shock features make it feel more like a quad bike, but this shouldn’t take away from how efficient it can be. The 14-inch turning radius makes it easy to maneuver, and will speed up your mowing like never before. However, if you own the previous model, you might be disappointed to learn there’s not heaps of improvement. If you don’t care about that, though, you’ll be happy to hear, primarily, it’s a heck of a lot of fun to ride. Do what you will with that information. There are tons of excellent, and high-quality riding mowers available, and we believe we selected only the very, best just for you. We would never recommend something to you which we wouldn’t use ourselves. So, instead of merely picking whatever riding mowers we first came across, we delved a little deeper and considered several factors that helped us determine which were truly the most appropriate, useful, and varied products we could. Brand - Any product has top brands that most people flock to when first considering what to buy, however, these brands might not always be what you need specifically. Brand loyalty is certainly a thing which is why some of these brands are as popular and successful as they are. We don’t believe you should always show loyalty to one brand though. Even if it’s just because it’s the same as the first one you ever bought, or if it’s the one your family has always used; riding lawn mowers are not a football team after all. With advancements in technology, some brands may still be set in their ways and are reluctant to explore different manufacturing methods. Some newer and perhaps less popular brands will take these risks, and if you’re willing to take a chance on them, it could prove massively beneficial for you and your lawn. We’ve tried to find a wide range of brands so that there’s something for everybody. Other lists from other sources may focus solely on one or two brands, but that means you could miss out on something excellent. Price - When preparing this list, we took a quick survey of what people around the office expected to pay for a riding lawn mower. It might surprise you to learn the average expected price of such products was way beneath what we discovered. A riding lawn mower is a huge investment, but when you consider the durability and quality of your options, it balances the initial price out. That being said, we understand that not everybody’s budget allows for them to splash the cash. We tried to find a wide range of prices while still examples of excellent quality throughout. Depending on your budget and what you need, we believe we’ve identified a fair and manageable selection of riding mowers that anyone could afford if needed. Size of the Area You Are Cutting - Some riding mowers we’ve selected are suitable for smaller lawns and yards, while others are more suited to smaller areas. This is not just something we considered, but something you should consider, too. When looking into purchasing a new riding mower, you want to find one that is large enough to cover your whole lawn on at least one fuel tank (or charge, if you’re going electric or hybrid), but also small enough it is easy to control, maneuver, and store. You likely don’t have a football-field sized lawn (and if you do, lucky), so you don’t need an industrial-sized mower. However, we know that you wouldn’t be looking at riding mowers if you didn’t have a considerable cutting area to mow. Just remember that even if you want the largest mower, this doesn’t mean you need to. Save yourself space, fuel, and time and only purchase one suitable for you. Buying any new product is always exciting and it can be tempting to purchase the product that has all the bells and whistles even if you don’t need them. Riding mowers are a considerable purchase, though, and so it’s crucial that you do more than a little research before you hit Confirm Order. You don’t want to receive the mower only to find out that it’s not suitable for what you want or need, and if you think it’s hassle trying to return a smaller (much smaller) product that was wrong, imagine how much hassle it will be to return and exchange something as mammoth as a riding mower. Tank Size - The tank size of your mower will determine a couple of things. For one, it will give you an indication of how much mowing you can do before needing to replenish the tank. The larger the tank, the fewer refills it will take between mows. Smaller riding mowers will have smaller tanks, but these are typically ideal for smaller lawns. However, if you’re mowing larger areas such as huge yards or perhaps something for a business such as farmland or even a sports field, then you will require as large of a tank as possible. This could mean you go over budget, so always take that into consideration before payment. These mowers are also better for the environment as they do not contribute to emissions from burning fuel. If this is something you try to be conscious about, then it might be worth looking into the power and reliability of electric and hybrid models versus fuel-based mowers. Warranty - A long warranty for heavy, expensive machinery is always something to consider, and riding mowers are no different. You can expect a top shell warranty to be as long as 10 years although other parts warranty may not be as long. Not all mowers will offer this though, and it’s always smart to check (and double check) with the manufacturer before buying. Regardless of if you’re planning to use your mower commercially or at home, you want a warranty that’s sure to cover you long after purchase. If you only plan on using it during summer months, then you want to be sure you’re covered after not using it over the winter months. likewise, if you’re planning on using it all year-round, you want the peace of mind that it can and will be repaired should anything occur at any time of the year. Good warranty agreements are not just for you, but also for the brand. From their perspective, offering a long warranty will ensure that you keep coming back to them instead of looking elsewhere. Anything longer than 3 years is considered a good policy, but be sure to study the terms and conditions - as bring as they are - so you do not accidentally void the warranty by attempting self-repair, using the mower in the ‘wrong’ conditions, or missing out on the warranty limit by a couple of months. Horsepower - Referred to on specifications and features as HP, the horsepower of your riding mower gives you an idea of how powerful your engine is. Aside from being able to show off just how fast this baby can go (hint: it won’t be much, but it’s something), and give you a little flex to the neighbors as you rip around your yard - maybe pulling off the odd wheelie or donut - it will also help you work with the right-sized lawn. Smaller lawns will only require a mower with 16 horsepower at the most. Medium lawns will require something closer to 20 horsepower, and large to very large yards may require over 24 horsepower to deal with the amount of area you will need to cover. The horsepower will also contribute to the distribution of fuel and energy to components of the motor such as the transmission and blades. This can come in useful if your grass is too thick or bushy for regular mowers and will help make your mowing activities much easier and straightforward. If you live in an area where standard horsepower mowers just cannot cut it (ha), then seeking more powerful options may be the way forward. 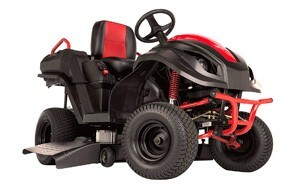 Wheelbase - The wheelbase of your mower refers to the amount of distance between the front and back axle. This is important as it determines the position of the driver’s seat and placement of the engine. For the engine, you need it to be large enough to suit your mower and lawn, but also not be too obstructive for your view. For this reason, a longer wheelbase will give the engine more room to sit comfortably in between the axles. This will also affect the position of your seat. If you are too far back or forward on the mower, then you will struggle to see potential obstructions and could also have trouble with steering and turning. It can also affect any grass distribution and collection as some accessories and add-ons cannot fit properly in between the front and back wheels. If you’re looking for mowers that collect or mulch your grass during the cut, this could be an issue. If you want to have the most control possible over your mowing, then finding a mower with an adequately sized wheelbase for the size of your lawn and required engine size is essential, otherwise you may soon discover that your dreams of simpler and more enjoyable mowing are still some way away. Reverse - Not all riding mowers will have a reverse feature, but those that do can save hours of time and energy when trying to get your lawn into the very best shape possible. If you have a yard that isn’t the most spacious for turning, then this could be an extremely useful feature that prevents you going through the hassle of switching it on and off, wasting charge and fuel, and helping you get the yard mowed as efficiently as possible. When considering which riding mower to buy, be sure to think about the area and layout of your lawn. Just because a mower with a reverse feature sounds cool, doesn’t always mean it will be viable. We’d recommend only looking into reversible mowers if you have a large - if slightly narrow - yard where you will get the most from it. If you don’t have a large yard, then the reverse feature may be a waste of money and you could focus your money on other features that could benefit your mowing activities. Traction Control - The thought of an uncontrollable mower could conjure up images of slapstick comedies or cartoons - and one classic Simpsons scene comes to mind - however, it’s always something to think about when purchasing heavy machinery. If you’re unable to control the mower, whether that be due to giving it too much power or because of the terrain, you could end up damaging the mower and causing injury to yourself and others. Traction control is also important for ensuring that your mowing is nice and simple while also contributing to saving fuel and battery power. When cutting in conditions other than dry weather (because sometimes you don’t have a choice) you want to make sure that your wheels can properly grip to the grass and provide an even and a satisfactory cut. Furthermore, good traction control will help with turning and reversing, making sure that you get every inch and no part of the yard is left untouched. Attachments - Besides your standard mower, you might want to purchase extra attachments to better improve your mowing experience. Some mowers will come with bonus attachments that help to sweeten the deal while you will need to buy others separately. If you have any specific extra needs for your mower, then knowing that it is compatible with these attachments could help you decide which mower you want to buy. 1. Bagger - Because who wants to deal with bagging themselves, right? Attachable baggers are an awesome timesaving solution for collecting grass that you can then use for mulching, composting, or throwing around like makeshift confetti at celebrations in your backyard (what do you mean none would do that? whatever). Unlike push mowers, baggers are not built in to riding mowers, so you will need to purchase this as an attachment, but there’s no guarantee that your specific mower will accommodate it. To make sure you’re not left disappointed, make sure you check with the manufacturer or specifications (and checking out existing reviews) before purchase if you feel you will need a bagging attachment. 2. Snowblower - If you’re someone who just loves to mow at all times of year - or just lives in the colder parts of the world - then finding a mower compatible with a snowblower attachment is essential. This will save you hours of time in shoveling snow just so you can keep your lawn in excellent condition and gives you one less thing to think about. The snowblower attachment is an excellent addition when working on large-scale yards and lawn areas and is sure to massively benefit you if you’re trying to clear and cut an area to prepare for events or even just to continue with general lawn upkeep. Whether you need to clear huge mounds of snow, or merely remove a light dusting, the snowblower is easier than any manual options you might have. 3. Spreader - Spreader attachments are ideal for when you don’t just need to mow the lawn, but also to put down a large amount of seeds if you’re planning on doing planting and farming in the coming year. They’re typically best used just before farming season begins, and will, again, save you time in doing everything by hand, while also saving money on hiring anybody to do the job for you! The best spreaders will come with easy-to-use controls and large volume and spreading capabilities - sometimes as much as offering a 12 foot spread - to ensure you can cover as much ground as possible with no need to refill. By attaching it to the back of your riding lawn mower, you can set it to disperse and, well, spread seeds (either for crops or to lay a foundation of grass, and even compost to assist with fertilization) without forcing you to go back to medieval times and break your back doing all the hard work yourself. 4. Cart - Attached to the back of your mower, these heavy-duty and durable additions are primarily used for dumping and transporting many garden tools, equipment, and debris to make your lawn mowing and beautifying much less strenuous. They are easy to assemble, typically only having a few individual parts to put together, giving you the option to get your yard cleaned sooner than you might expect. Though more often believed to operate merely as tow carts, more modern designs allow you to attach it to the front of the riding mower which offers versatility for a multitude of requirements. Although they’re strong and durable, they’re also remarkably light, so even if your mower isn’t that powerful, you still shouldn’t need to worry about not being able to tow or push around the yard. If you’re frequently cleaning up a large part of your lawn, then you’d do well to invest in a cart to make your job easier and quicker. 5. Aerator - If your lawn isn’t as healthy as you’d like it, then invest in an aerator to help promote and encourage better growth, drainage, and brings worms and similar garden insects to help provide nutrients to the soil. While you can buy handheld aerators, purchasing an aerator attachment can save you lots of time that you otherwise may not have. Not all lawns will need an aerator, especially if it is healthy all year, but it might come in handy in the event that your lawn’s condition declines. If you want to find the most efficient product available, there is the option to buy combination attachments such as dual-aerators and spreaders, for the most effective results while also potentially saving money and storage space. Safety First - No matter which riding mower attachment you purchase, always be sure to follow the manufacturer and product instructions to guarantee you install it correctly. This includes being aware of any safety gear requirements both during installation and while the attachment is in operation as otherwise you could cause yourself (or others) serious injury. Q: What is the average life of a riding lawn mower? A: The average life of a lawn mower is between 7 and 10 years but this is only possible if you take care of it and ensure that you complete proper maintenance and care and store it in the proper conditions when not in use. If you neglect to take good care of your mower, then you can expect it to last much less, perhaps as little as half the time. Sometimes, mowers will not base their life expectancy on years, but instead ‘mowing hours’. Here, you will find statements anywhere between 200 hours (for inexpensive, low-quality riding mowers) and 500 hours (for top of the line). From here, you can determine how long your mower will last based on how big your cutting area is and how often you mow your lawn. Taking the time to do proper maintenance on your mower will help save money on extra parts and replacements in the long run and will avoid you needing to buy these considerable investments every five years. It isn’t just maintenance that affects the lifespan of your mower. If your lawn is overgrown, thick, and generally not-very-well-maintained, it will put a greater strain on the blades and the engine, meaning there is great potential for damage much sooner than expected. Try to avoid cutting your lawn too infrequently and, if you can, try to improve your lawn’s condition to make it easier for the mower to do its job. Q: What would cause a riding lawn mower not to start? A: Despite how much you might take care of your mower and how carefully you ensure that it’s always in the best shape possible, sometimes things just don’t work like you want them to. There is a variety of reasons this might happen, so if your mower does not start on a day you’ve set aside for a substantial cut, make sure you go over these easy-fix methods before you panic. Disconnected, dirty, or loose spark plug - remove the spark plug from the mower and give it a quick clean. If it’s disconnected or loose, then reattach. Blocked air filter - you must clean it, or, if this is a few years of build-up, you might need to replace it altogether. Fuel isn’t reaching the engine - give the side of the carburetor a quick knock or tap to help encourage the flow of the fuel. If none of these methods work, then you should check your manufacturer’s warranty and organize replacement parts. You may have to save your big day of mowing for next week. Q: What causes a lawn mower engine to sputter? A: You need not be a riding lawn mower expert to understand that engine sputtering is not a good thing. Luckily, it’s not the end of the world (not yet, anyway), and you won’t need to worry about running out to the store - or Amazon, more likely - to order a new mower for immediate delivery. That being said, if your engine is sputtering, then you should fix it as soon as possible, as leaving it will only exacerbate the issue. To solve it, there are several things you can try. Check for water in the gas tank, possibly from wet weather or moisture. Tip the gas tank over and empty it into a container. Replace the filter if it’s dirty, as this hinders ventilation and can lean to build-up of dirt and debris. You can also wash the foam filter with soap and water and allow it to dry. Check for caked on and dried grass as this is also a cause of sputtering due to blockage. Use a scraping tool to remove it, but make sure you remove the spark plug to stop the mower from turning on while you’re doing it. So yeah, like we said, it’s not the end of the world, but it should probably be a wake up call to take thorough care of your mower. Q: What size riding mower do I need? A: While we’re at, how long is a piece of string? You get what we mean? The size of the riding mower that you need will depend on how large your yard or cutting area is. Riding mowers are designed to cover much more ground than standing push mowers, so they will be larger than what you are used to. If you have a large cutting area, then a larger, more powerful riding mower will be needed as they will complete a whole cut of your lawn in one go as opposed to needing to stop halfway through to refill the tank. Conversely, smaller mowing areas will require smaller mowers as they will be easier to maneuver in tight spaces and will also not provide too much power that it becomes uncontrollable, sending you, unfortunately, through the neighbor’s fence and causing general mayhem and disaster while next door is trying to enjoy a family barbeque. The best riding mowers will show the total cutting area from one fuel tank or charge, so make sure you know the size of your yard before purchasing to ensure you don’t run out of juice halfway through a mow. Q: How long does it take to mow an acre with a riding mower? A: The time taken to mow an acre with a riding mower will depend on how powerful your mower is and the length and condition of the grass before cutting. If you have a mower designed for medium-sized lawns (which are, on average, around 1 acre at the most) you can expect the activity to take around half an hour to an hour, meaning you will only cut for around 11 to 22 hours annually if you mow your lawn twice a week during the summer months. This is only an average time, though, and this could change depending on your speed, the terrain of your lawn, and whether there are any obstacles that hinder simple mowing possibilities. 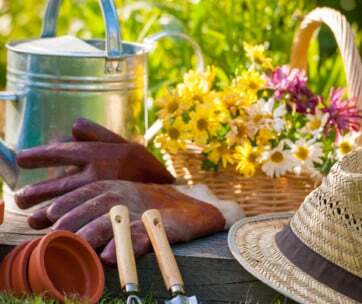 Regarding these obstacles, you can make life easier for you, by taking care of the surrounding area before mowing, or better yet, get the kids to do it while you busy yourself with the more important stuff. Q: What is the fastest way to mow a lawn? A: There’s no ‘fastest way’ to mow a lawn, but there are several ways that will cause you to cut the lawn faster than others - although, this depends on the size, style, and design of your lawn. The most common method is to cut in straight-lined rows, which is probably what you would opt to do, anyway. Cutting your lawn in rows ensures that you get every inch of grass you need missing no patches and reducing the number of times you need to turn (or reverse). When on a riding mower, you will be at the right vantage point to identify whether you’ve mowed certain parts of the lawn properly. If this is the case, you can always go back and cut them before moving onto the next row. However, this doesn’t always work for some people due to the shape of their lawn. Another option is to cut in concentric circles. Aside from being more fun (unless you’re prone to bouts of dizziness), it also reduces the amount of turns you need to take and is in fact simpler than rows as you are always turning in the same direction, just make sure you don’t go too fast unless you want to get sick after you’re finished. Again, if there are obstacles that interfere with straight and simple mowing, do them beforehand so you can get on with the longer, more arduous mowing tasks and feel complete once you finish everything. Q: When’s the best time to cut your grass? A: Some people expect that it’s fine to cut your grass whenever the heck you feel like it and, we guess, you absolutely can, it’s a free country after all. However, there are many reasons wrong with this. Cutting the grass on a warm, dry summer’s day may seem like something you’d rather not do, but this is in fact the best time to cut your grass. You can’t always predict when this excellent weather will arrive, though, and so instead of waiting around for the good weather to come, you should at least know what the best time of day to cut your grass is. Considering you’re trying to avoid dew, damp, and still cool enough not to break a sweat, experts determine that the best time of day to mow your lawn is in the mid-morning, which isn’t so great for those who work full time (there is always the weekend, though), but good for anyone who wants to take a day off and complete chores around the house. If you’re unable to get it cut in mid-morning, you can always wait until you get home from work and cut the grass on late afternoon - as long as it hasn’t rained too much during the day - as it will be as cool, if not cooler than the mid-morning, and there will still be enough sunlight for your grass to recover and repair itself before nightfall. Q: Why should you not cut grass when it’s wet? A: It’s not as if it’s some kind of voodoo curse or other reason you shouldn’t cut your grass when it’s wet, the simple fact is that it doesn’t cut as cleanly, putting more pressure on your mower than it needs at that point. This is because wet grass cuttings are longer and clump together which hinders your blades ability to cut sufficiently and may even mean you’ll be cutting for even longer than you’d normally like. If you’re using an electric mower, there are obvious reasons you shouldn’t mow the lawn, unless you’re auditioning for the latest edition of the Darwin Awards.